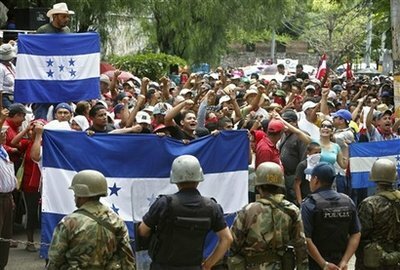 I was supposed to travel by bus through Honduras on my way to Nicaragua, but the Honduran borders have been closed due to the crazy political situation there right now. Naturally, the country, and its people have been on my mind a lot. Counterpunch has been running some great analysis on the events there, so definitely peep their coverage if you want to get a better idea of the situation beyond the frame of the corporate media.